With this distinction of DLC-QPL, the ENCELIUM EDGE system is acknowledged as a simple yet powerful solution for small- to mid-sized commercial spaces seeking code compliance and energy savings. 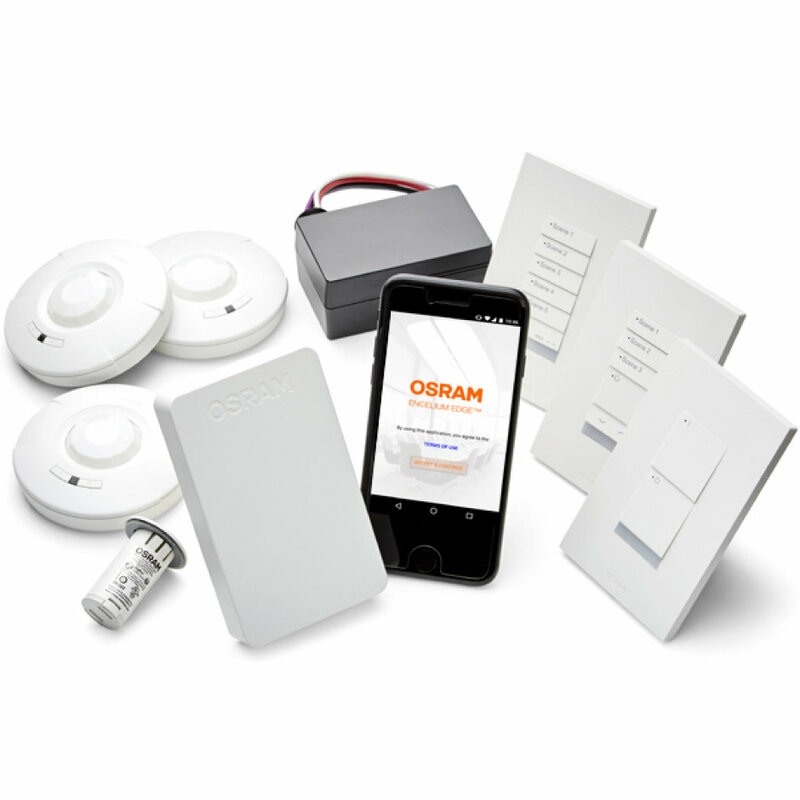 WILMINGTON, MA – OSRAM, a global high-tech lighting company, today announced that its ENCELIUM EDGE™ Standalone Wireless Light Management System has been listed on the DesignLights Consortium (DLC) Qualified Products List (QPL) in the category of Networked Lighting Control Systems. With this distinction of DLC-QPL, the ENCELIUM EDGE system is acknowledged as a simple yet powerful solution for small- to mid-sized commercial spaces seeking code compliance and energy savings. It is simple to specify, install, setup and manage using the ENCELIUM EDGE Mobile Setup App. No floor plan is required and pre-set configurations initialize lighting control quickly. It is upgradable via software to the ENCELIUM® Networked Light Management System when advanced functionality is required. The DLC listing equips everyone from lighting designers, specifiers, contractors, building owners and utility energy efficiency program managers with a valuable resource to understand and evaluate networked light management systems. The DLC’s performance specification and QPL for Networked Lighting Control (NLC) Systems provides a new resource to the lighting market and energy efficiency programs to understand, evaluate, and compare NLC Systems. To qualify as a QPL in the NLC Systems category, eligible systems must meet required system capabilities such as occupancy sensing, daylight harvesting, zoning and continuous dimming. For more information on the ENCELIUM EDGE System, visit www.osram.us/edge. To learn about the latest trends and technologies in smart lighting and emerging smart building applications, visit http://info.osram.us/blog. The DesignLights Consortium® (DLC) is a non-profit organization dedicated to accelerating the widespread adoption of high-performing commercial lighting solutions. The DLC promotes high-quality, energy-efficient lighting products in collaboration with utilities and energy-efficiency program members, manufacturers, lighting designers and federal, state and local entities. Through these partnerships, the DLC establishes product quality specifications, facilitates thought leadership, and provides information, education, tools and technical expertise. For more information, visit www.designlights.org.